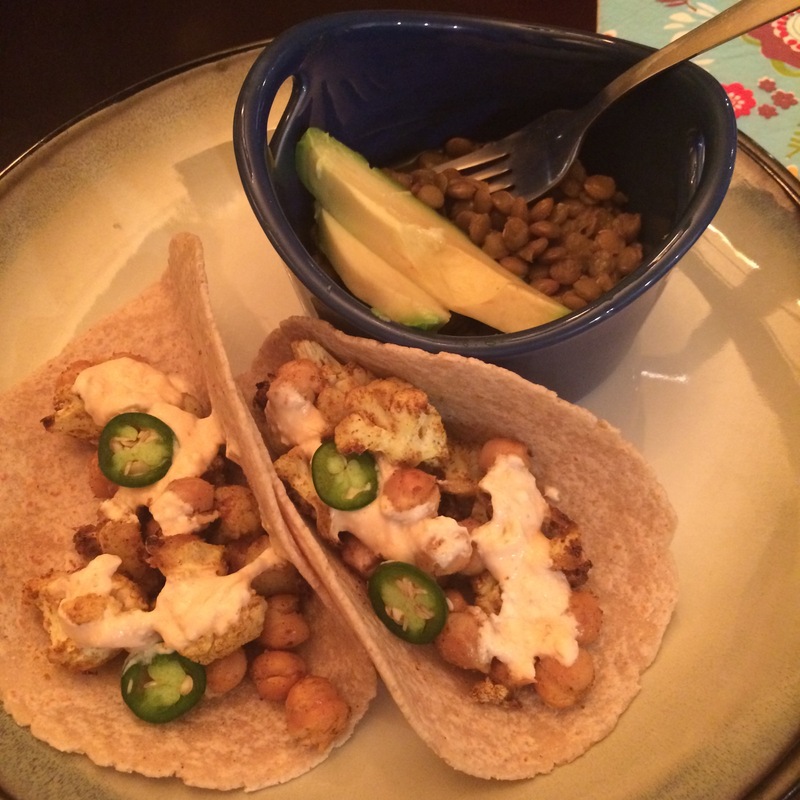 We had a dinner guest last night and she got to enjoy some tasty tacos. 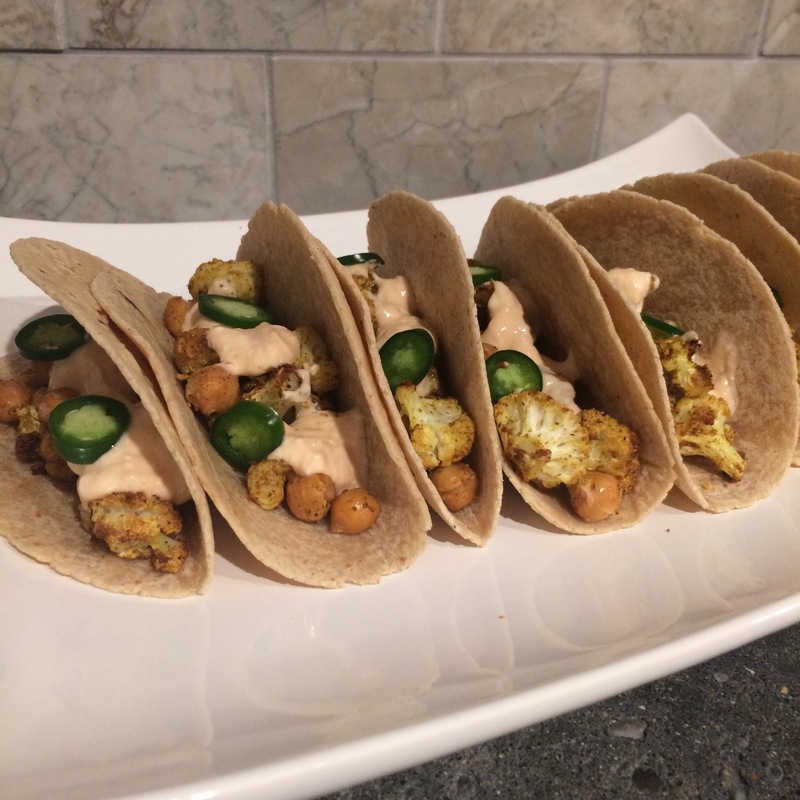 Since she is allergic to a whole lot of seafood (so sad, I know), we opted for an all veggie taco with an Indian twist. I found the recipe here at Chezus.com. Minimal changes were made and they turned out really well, so this is definitely on the must try list. 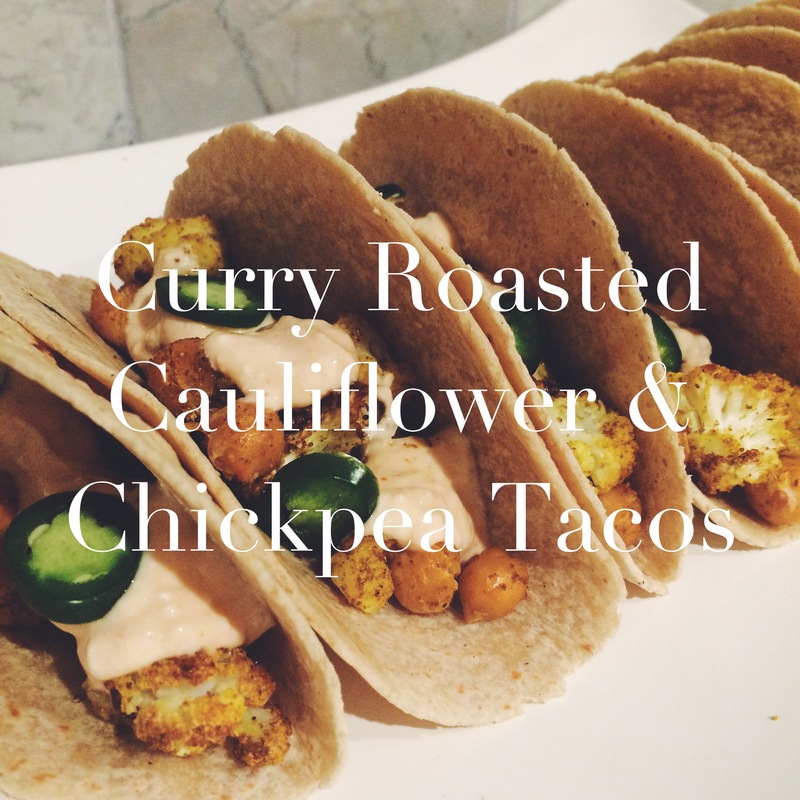 *As y’all know, I like use what I already have, so the only ingredients I had to buy were cauliflower and Greek yogurt (yay!). I am also proud to say the I used jalapenos from the garden. I only share this tidbit because I hate when you have to spend $40 on ingredients for ONE recipe. Pin this and save it for a time when most of these things are in your kitchen. Preheat your oven to 425, and then start by washing the cauliflower and patting it dry. Chop the cauliflower up into small florets. 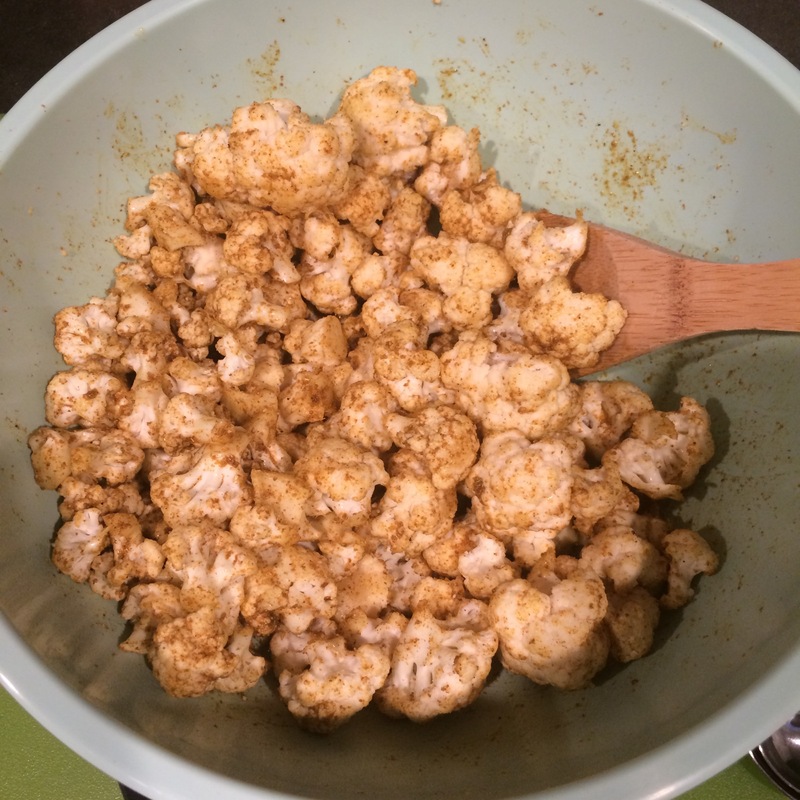 In a medium size mixing bowl, add the cauliflower, 1 1/2 tablespoons olive oil, and the curry powder. Toss it well so the cauliflower is evenly coated. Spread it out on a baking sheet and pop it into the oven for 15 minutes to roast. 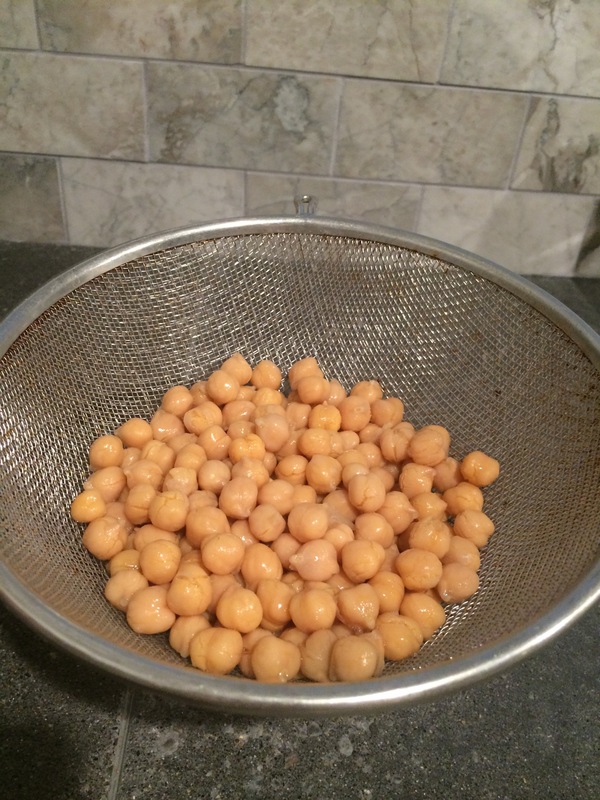 While the cauliflower is roasting, rinse and dry the chickpeas, and set those aside while the cauliflower is cooking. In the meantime, you can grate your cucumber and mix the yogurt and Sriracha together–add salt to your liking. By now, the timer for the cauliflower should be going off, so pull that baking sheet out and add the chickpeas. Add the 1/2 tablespoon olive oil and give it all a good stir. Set the timer for another 10 minutes. 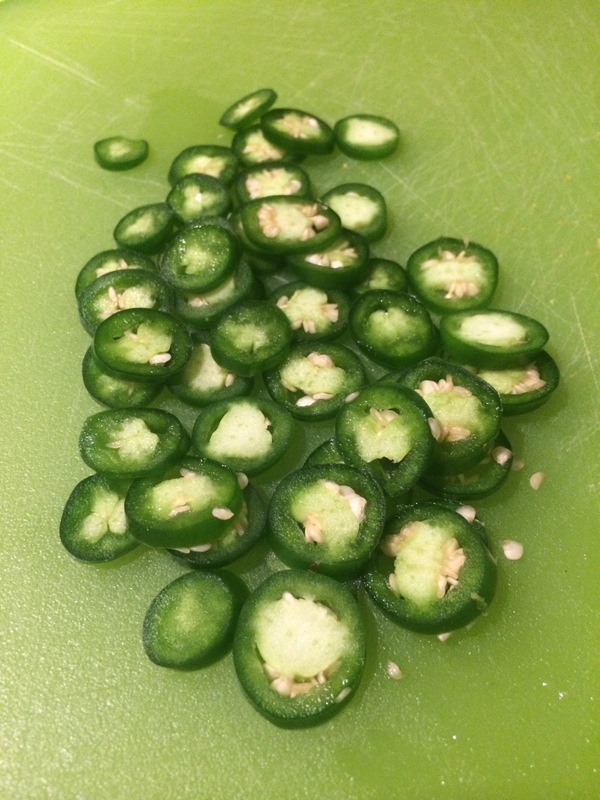 Now, slice up the jalapeno and warm up the tortillas. To assemble, add the veggies, a generous dollop of the sauce and some jalapeno slices. 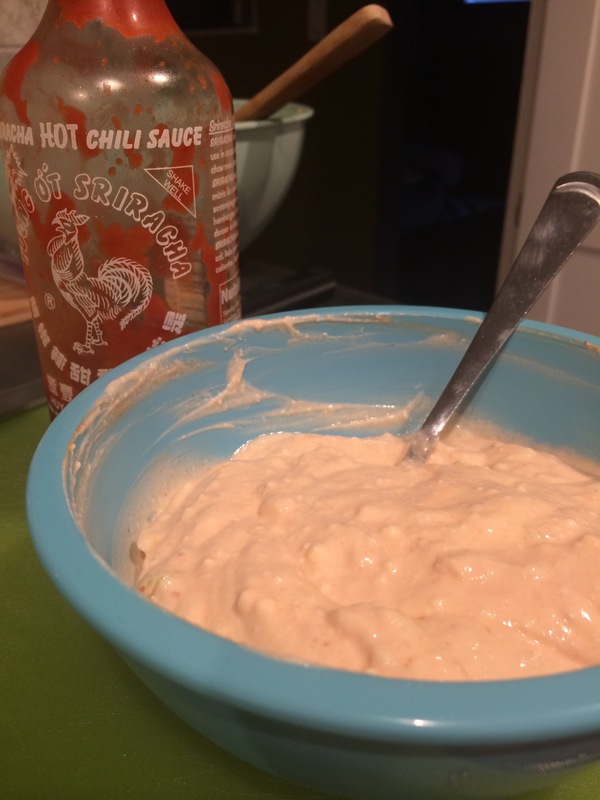 We all like spicy food, so we added a drizzle of Sriracha. I also made a pot of lentils with extra cumin and served those with avocado slices, to round out the meal. This made 8 tacos easily, and we have leftovers, so we are eating the lentils and veggies mixed together with a French baguette.